Do you speak English? Do you like meaningful, wholesome entertainment? Join us at our magic theater “Strekoza” (Dragonfly) for a mesmerizing, explosive, entertaining “Feel the Magic” performance! It is full of surprises, wonder, meaning and fun! Stories from life that are told with the use of magic and help of the audience! Magic tricks you’ve seen only on TV are now live, right in front of your eyes, or even in your hands! You’ve never seen anything like this before! Not a single dull moment! funny jokes and deep thoughts about life values! You will enjoy every minute of it! 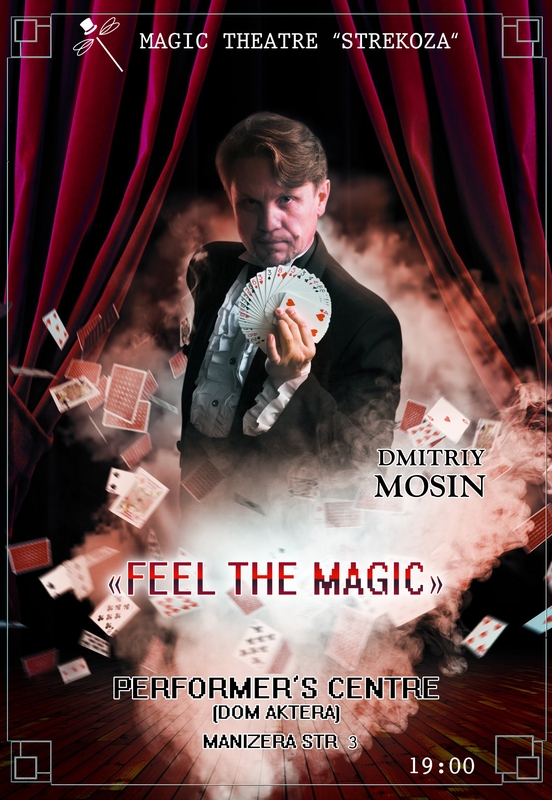 Your primary host – the unforgettable, renowned magician Dmitry Mosin.